We're excited to announce our entry into the Overwatch Contenders League, and compete with the best athletes in esports. In staying consistent with our vision we continue to grow Simplicity with our fan base as our number one priority! Stay tuned as this is only the beginning. 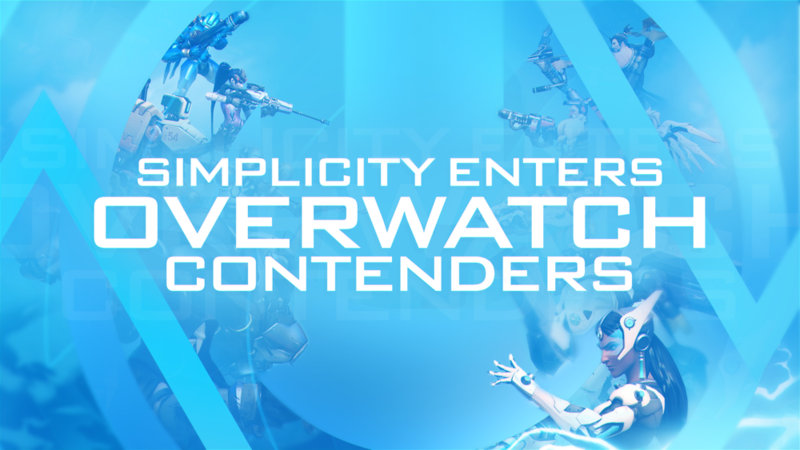 "Joining the Overwatch Contenders League is a natural fit for Simplicity. Our ownership group has vast experience with both major and minor league sports. We intend to bring our knowledge and passion to the Overwatch contenders league and develop players to reach their maximum potential." "I'm very excited to dive deeper into the world of Blizzard with the addition of the Overwatch Contenders spot. I know everyone here at Simplicity can't wait for our fans to see what we have in store for the rest of 2018." "I am excited to join the Overwatch Contenders League. To me, this is the next essential step in our vision. The growth of contenders is unparalleled to any other development leagues inside of the space. It really puts emphasis on scouting talent and growing players into the next superstar."